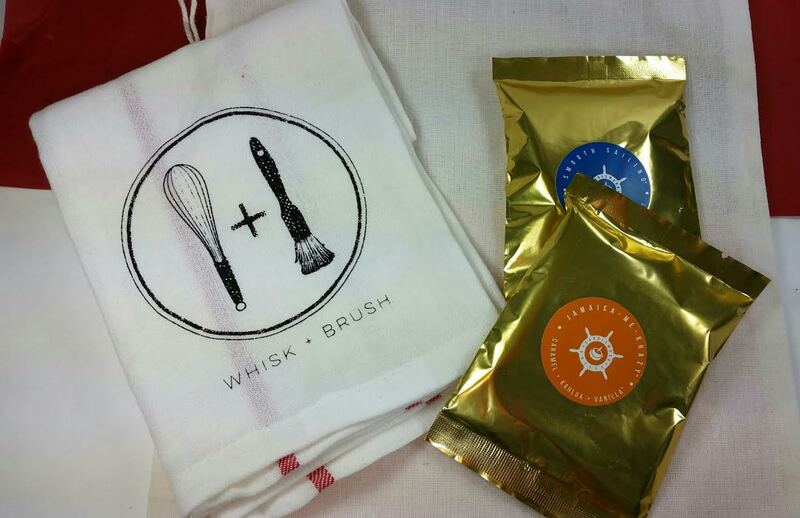 Whisk and Brush Kitchen Towel- I love kitchen towels because I tend to go through them rather quickly. I don't like it when they get stained or change color... This is my favorite kind- flour sack! Candlewood Roasters Coffee in Jamaican Me Crazy and Smooth Sailing - Candlewood Roasting Co. uses 100% Arabica beans. The Jamaica is a medium to bold roast with hints of vanilla, kahlua and caramel. Smooth Sailing is a medium roast, the perfect breakfast cup with low acidity and balanced flavor. 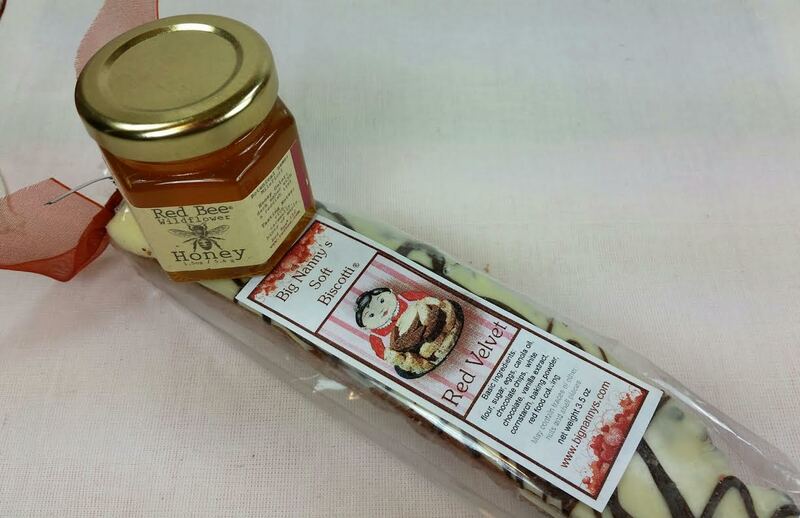 Red Bee Wildflower Honey- I love honey. I always try to get some from new areas when I'm traveling. This is wildflower honey from Connecticut and it is so good and very sweet. It's a medium amber color with fruity and floral flavor notes. Big Nanny's Soft Biscotti in Red Velvet- Made with regular and white chocolate. It actually *is* soft so I'm going to try this! I hate hard biscotti. It's also GIGANTIC. I feel like it might even be a foot long. Holly's Oatmeal in Goji Berry- This has goji berries, oatmeals, flaxseed, chia powder, a 7 grain blend and a bunch of other good-for-you stuff. And when you eat it, you will be full all day! Oof. 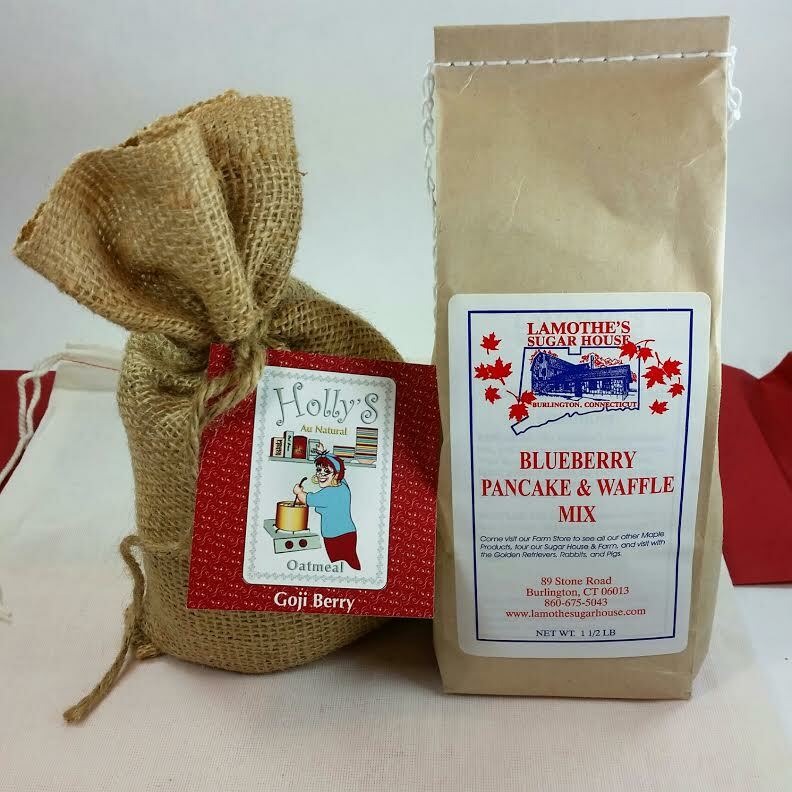 Lamothe's Sugar House Blueberry Pancake and Waffle Mix- Buttermilk pancake (or waffle) mix with freeze dried blueberries. I like to make waffles in my waffle iron so I might try these as waffles first. VERDICT: This is pretty much the perfect breakfast box. I could use all this to make DH Valentine's Breakfast tomorrow! And he would LOVE it. Especially that nutrient packed oatmeal. I desperately want to try the coffee so I think I'll make up a French Press pot of the Jamaican one in the morning. I can't even begin to tell you how good it smells. I'm going to do it. I think he will really love it if I did that for him. As with most curated, area-focused boxes, the primary value lies in the curation itself. If you are looking for great value, this won't be the type of box you like. If, however, you like thoughtfully curated boxes with products you may not find anywhere near you, this will be an enjoyable box to unpack. I've noticed that New England Sack tends to be food heavy so if you love cooking you will like this better than if you don't. 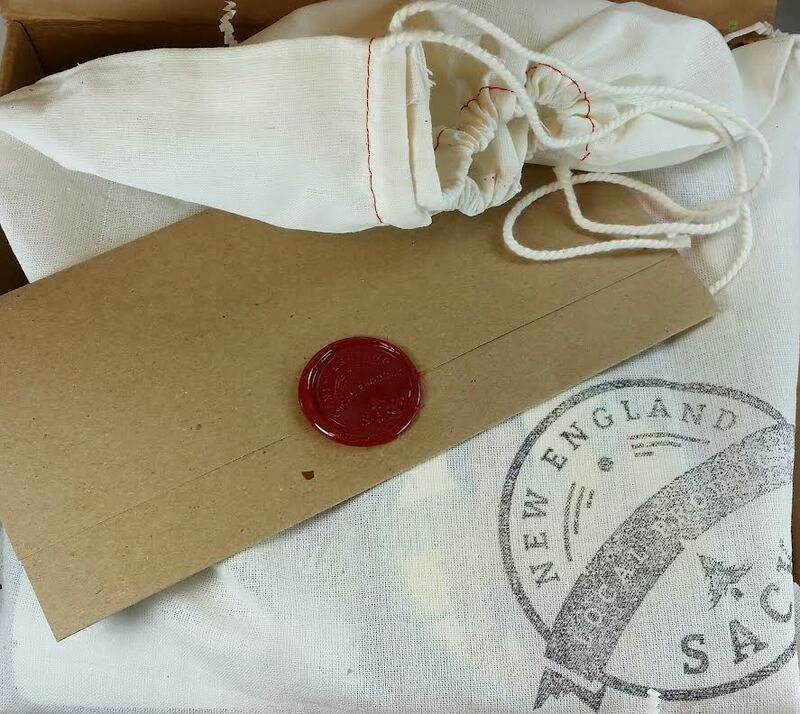 If you would like to sign up for a box of your own goodies from New England, sign up at their website www.newenglandsack.com. You can just purchase one box or get a longer subscription of 3 or 6 months. As a side note: I did end up making breakfast using the items I received in this box! It was perfect! My boyfriend and I purchased a 3-month gift subscription for his mom for Christmas and she loved this box! She said it's been her favorite one yet. That biscotti looks so good! This is a LOT of food! 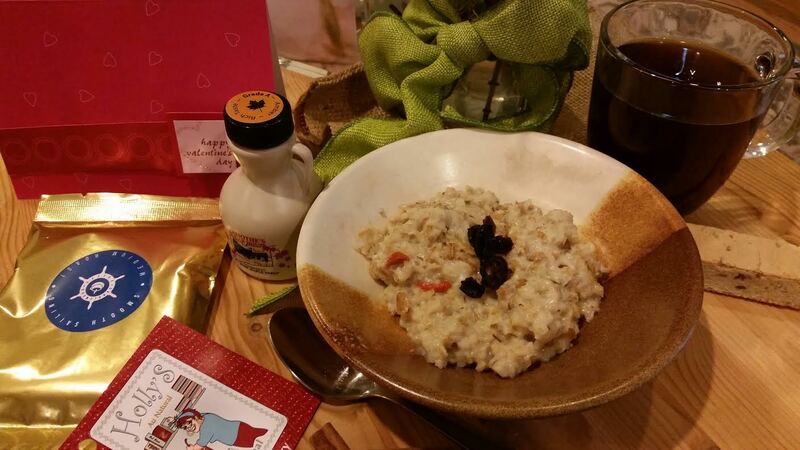 I thought the coffee was good but didn't care for the "too healthy" oatmeal as much. DH liked it though. 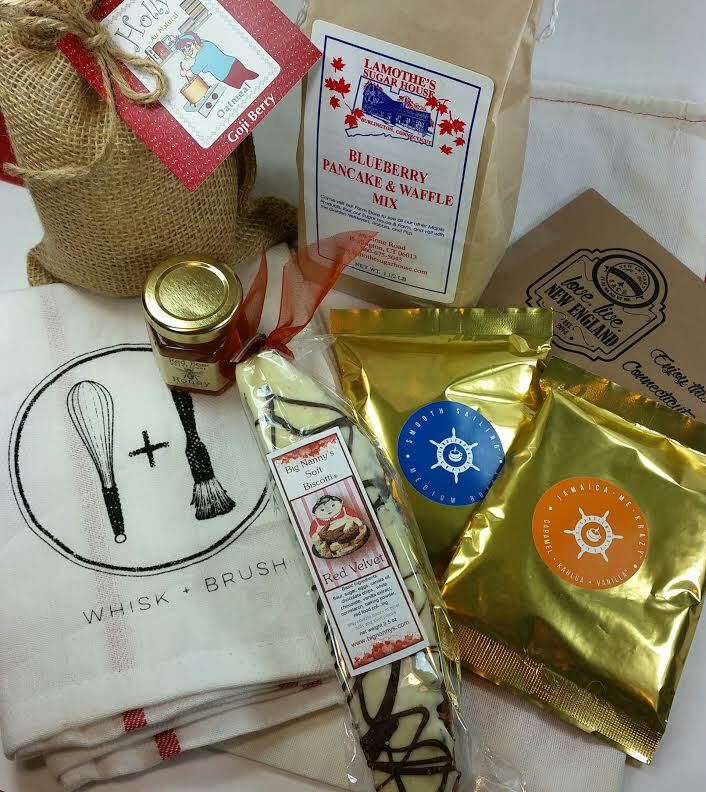 This is such a fun box for foodies.